At Hï Ibiza, Sat 18 May. Are you game for a proper clubbing marathon? 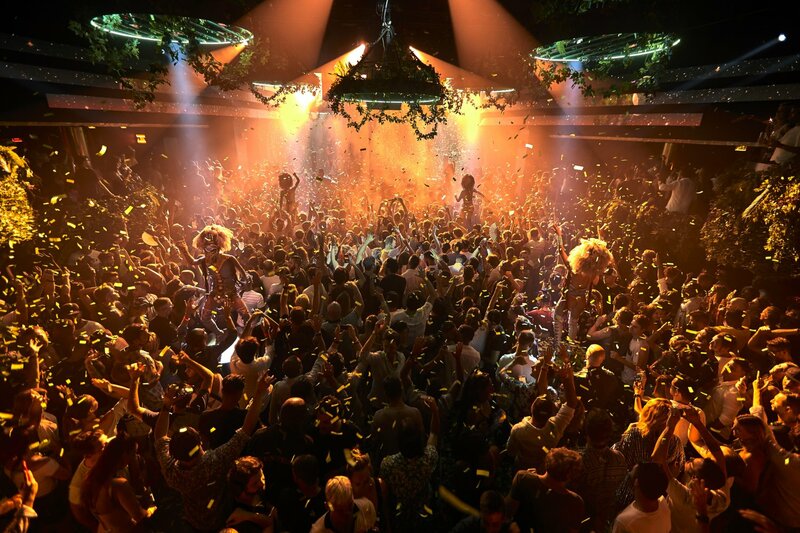 Hï Ibiza returns with an even more massive opening bash in the form of brand new party concept Odyssey, bringing back the legendary days of Ibiza's endless parties. Get ready for this. Already nothing short of spectacular, the grand affair opening of the state-of-the-art club joins forces with its sister venue across the street Ushuaïa for a 24-hour party extravaganza that the island has not seen since the turn of the millennium. Hell yeah! This second part of the clubbing marathon takes over the newest super-club on the island. The already award-winning Hï Ibiza boasts some of the most extraordinary production and laser shows around. On its multiple dance floors - the Theatre, the Club and even in the unisex bathrooms - the party never stops. The line-up includes an array of world-class acts and special guests delivering the finest house and techno sound. On the decks in the Theatre (main room), Germany's finest Adam Port will kick things off at midnight , followed by techno master duo Adriatique, Crosstown Rebels head honcho Damian Lazarus, the one and only Richie Hawtin and underground techno maestros Tale Of Us. As for the Club (room 2), Kevin de Vries opens the night, handing the decks over to one of Brazil's finest exports ANNA. Next up, Ibiza staple Andrea Oliva, Canadian prodigy Mathew Jonson, techno duo from Berlin FJAAK and deep techno stalwart Chris Liebing will have you losing it until noon. On Saturday 18 May 2019 from midnight until midday, Hï Ibiza kicks off the season with this first-ever party Odyssey - or the second leg of the ultimate Ibiza party. Mark our words: this will no doubt one of THE events of the summer. See below for confirmed details, line-ups updated daily and tickets - including those 24-hour passes. For the double whammy outdoor/indoor event, start the party at the Ushuaïa Odyssey Opening Party at Ushuaïa across the street from 12 noon until midnight. Go on, you know you want to.